Lawyers need a steady stream of qualified new leads in order to succeed. They also need to minimize the amount of time and money they spend acquiring new clients. The Internet marketing professionals at ThinkSEM are experienced in helping law firms grow and thrive. We take an intelligent approach to legal marketing: our decisions are based on data and informed by years of experience and success in digital marketing for attorneys. We use the Internet to generate qualified leads so you can convert your website visitors into paying clients. 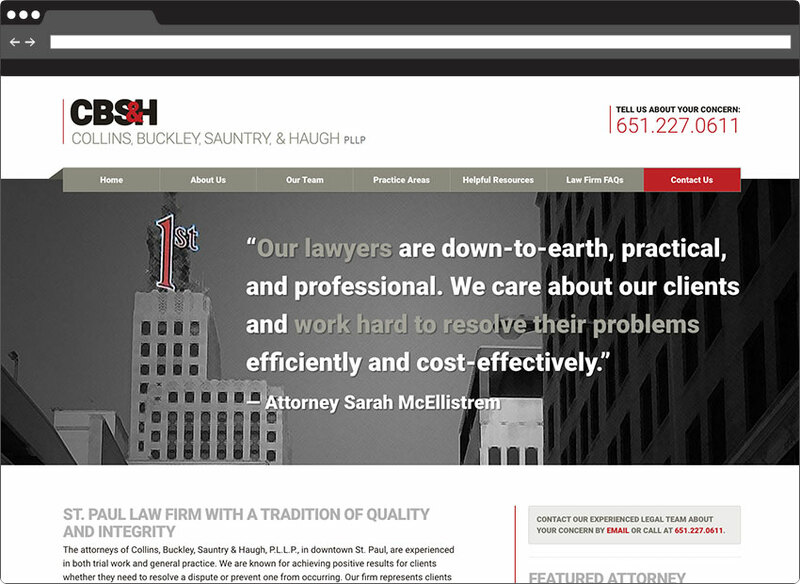 We offer attorneys a full range of internet marketing services designed to optimize your web presence and build your law practice. Our team is focused entirely on achieving results for lawyers and law firms in the most efficient and cost-effective manner possible. What is your overall conversion rate? How much do you pay for every new lead? How many of those leads convert into clients? What is your return on investment (ROI) in online marketing? When you hire us to help your online marketing efforts, we’re not just a vendor — we’re your partner. We can’t attribute our success to our expertise alone. We rely on your knowledge of what clients are most important to you, and your overall business goals. Legal services is one of the most competitive industries vying for attention of potential clients online. Google and other search engines have become increasingly sophisticated in recent years. Ranking well for competitive keywords is more challenging. Practices that once benefited legal websites may no longer be effective today, or could even result in your site being penalized. In short, to succeed in today’s online environment requires specialized knowledge and a sophisticated approach to online marketing. At ThinkSEM, we know online attorney marketing the way you know the law — in depth. We see the big picture and appreciate the fine details. We understand the nuances that can affect your results. We position you for success by using proven techniques, not the latest trick. To learn more about our internet marketing services for law firms, please call 651.200.3831 or contact us by email. From our offices in the Minneapolis-St. Paul area, ThinkSEM’s online marketing experts provide digital marketing services to law firms in Minnesota and throughout the U.S.